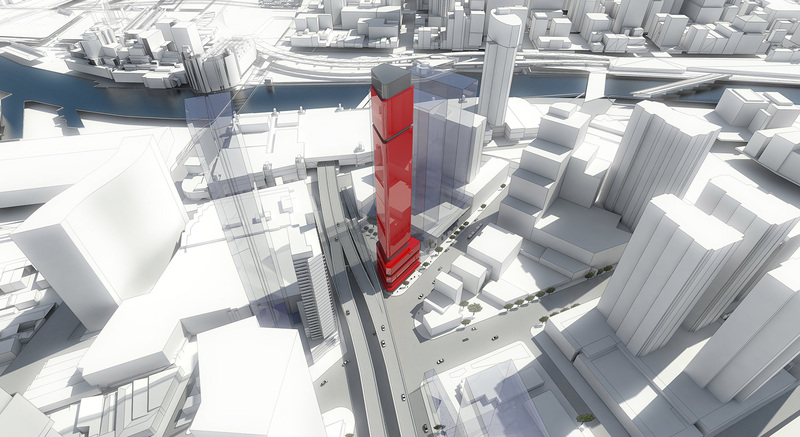 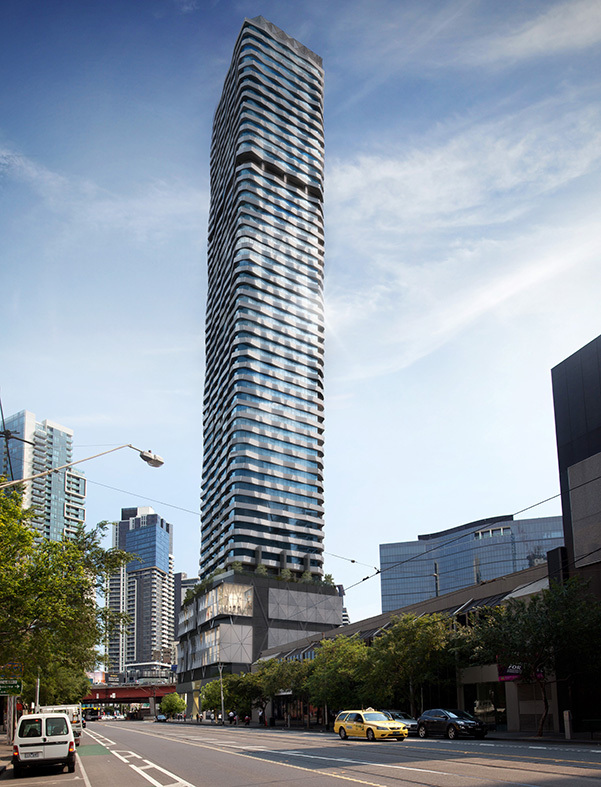 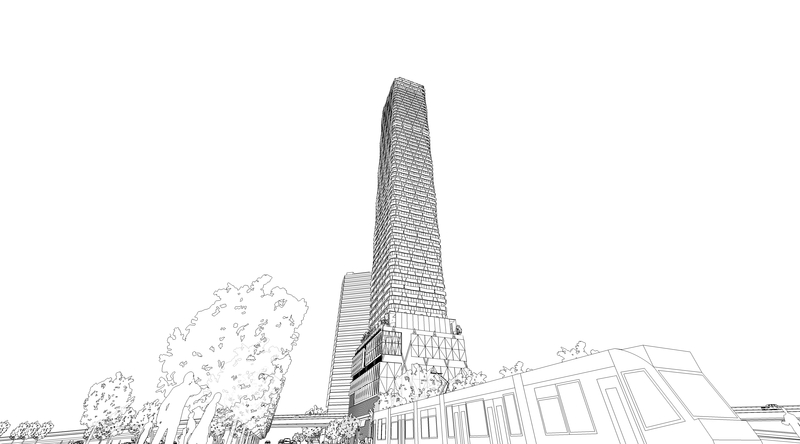 88 Melbourne is a landmark 56 storey residential tower acting as a gateway to the city. 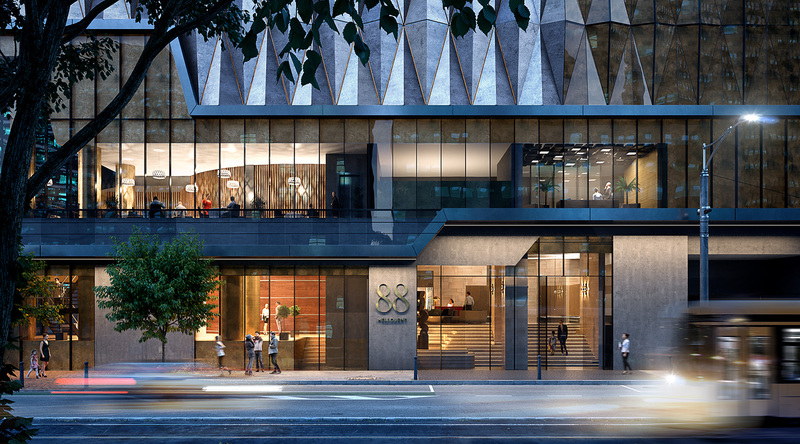 The podium design for 88 Melbourne is influenced by the street number 88 (auspicious in Chinese culture), abstracted into a seven-storey pattern across podium and tower, delivering visual rhythm and a discrete emblem. 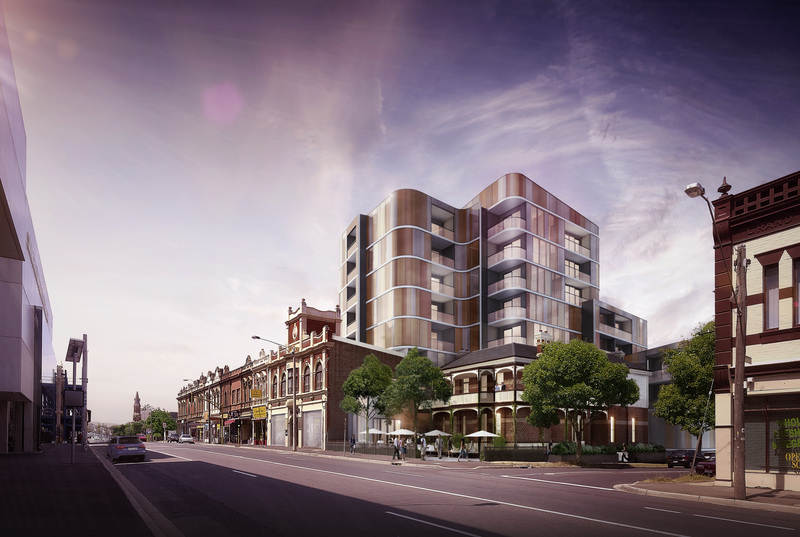 Addressing its urban context, the podium comprises retail, residents lobby and parking. 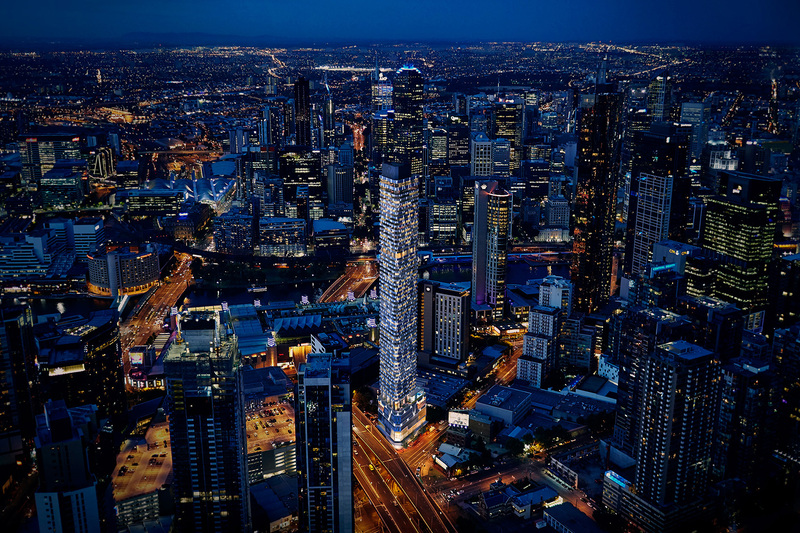 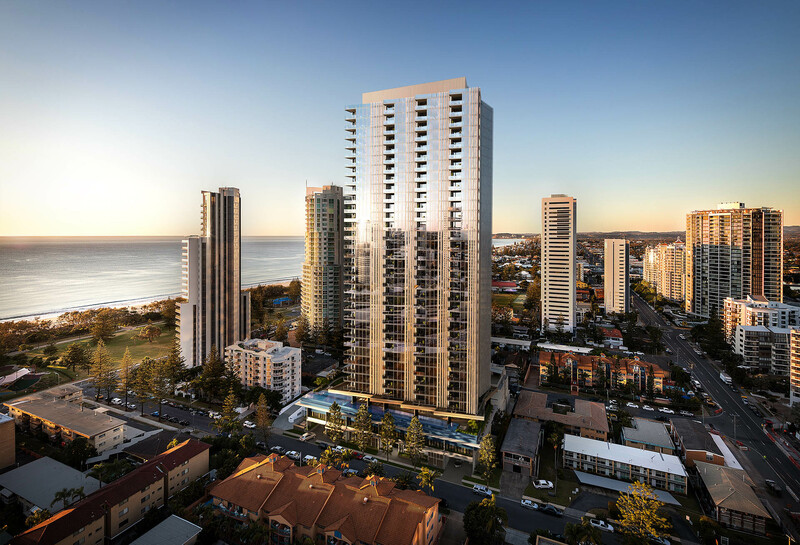 The tower exploits natural light and view corridors – north to the city and Docklands, east to the Royal Botanic Gardens, southwest to Port Philip Bay. 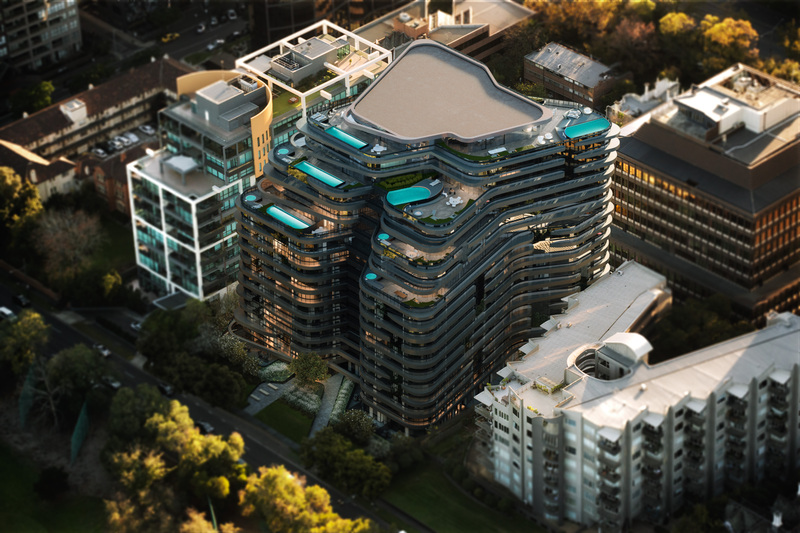 Its flexible grid system allows adaptable floor plates that can change throughout the building’s lifecycle, e.g. 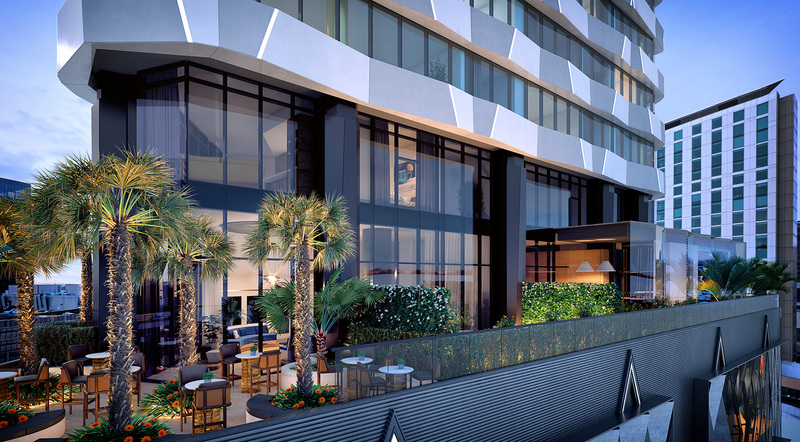 merging apartments, converting to serviced apartment model or office if required. 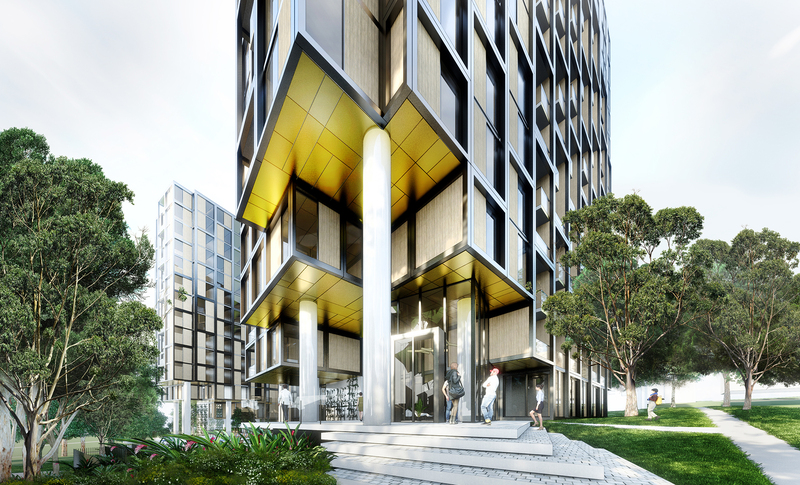 The façade’s graphic motif was developed through an exploration of interplays between light and shade in faceted metal jewellery and folded origami. 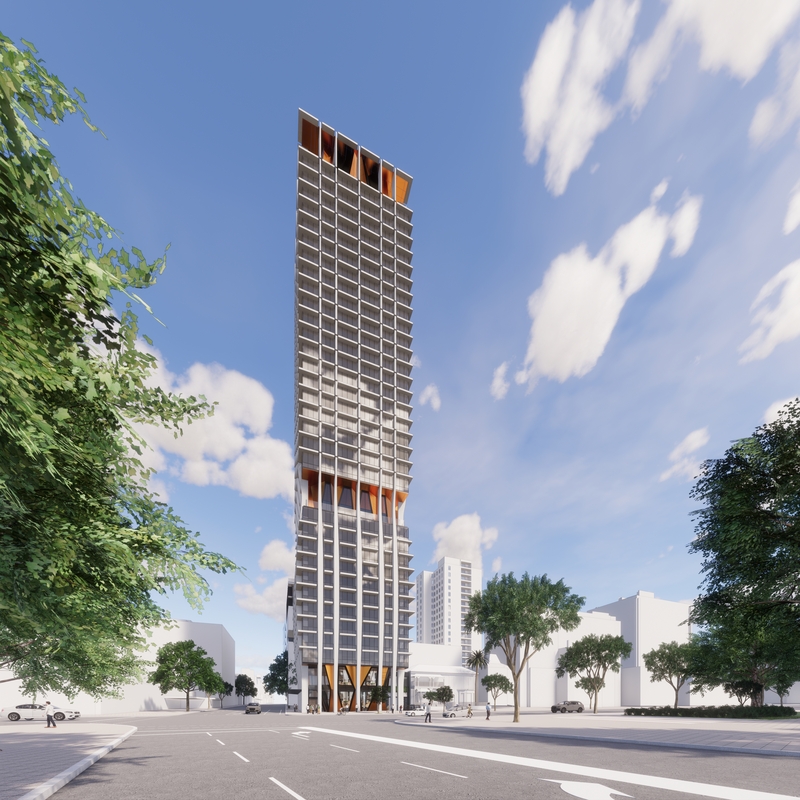 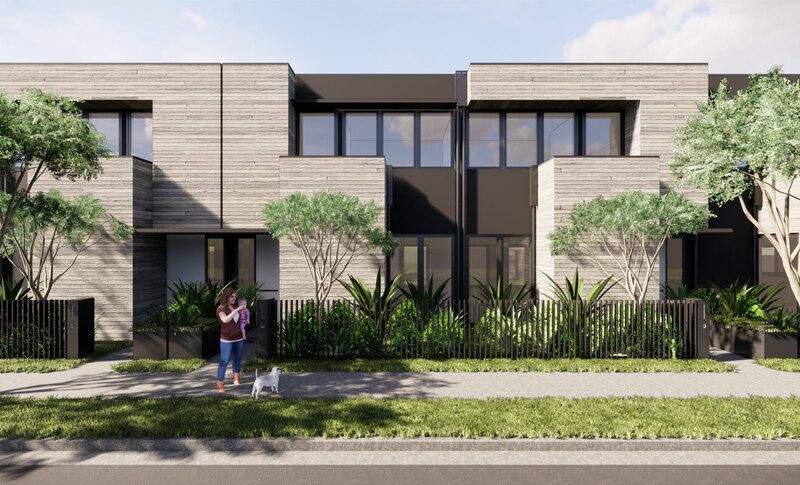 Its architectural expression translates the form into an elegant, timeless building that celebrates the city, and delivers the fine grain detail required for a residential building. 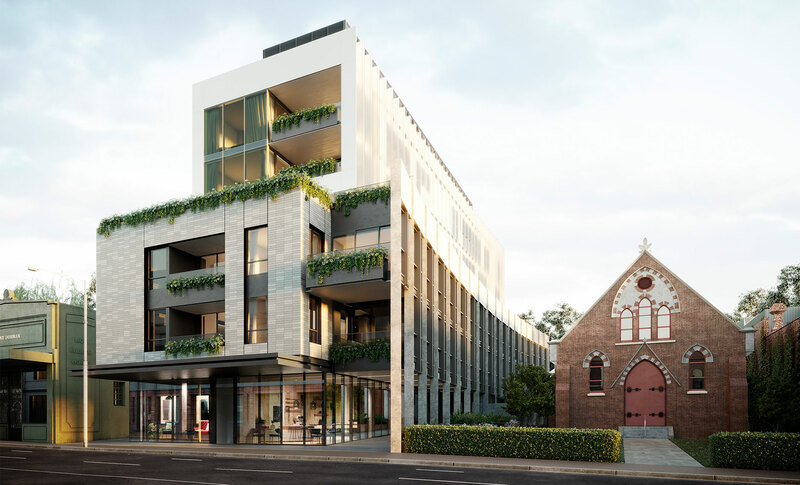 Embracing the complexities of an oblique corner site, flanked by an overpass, the building articulates at both street and urban scales, contributing confidently to the Melbourne streetscape and skyline.